This is the most important cave system discovered so far in the country. It is made up of reef like limestones. Ancient reefs that emerged due to over elevation that was cause by the tectonic faults. It developed 60 million years ago. The Barra Honda is a National Park with an amazing cave system. This cave represents thosands of years of geological history, which have resulted in an extensive system of independent caverns with formations of stalactites and stalagmites. 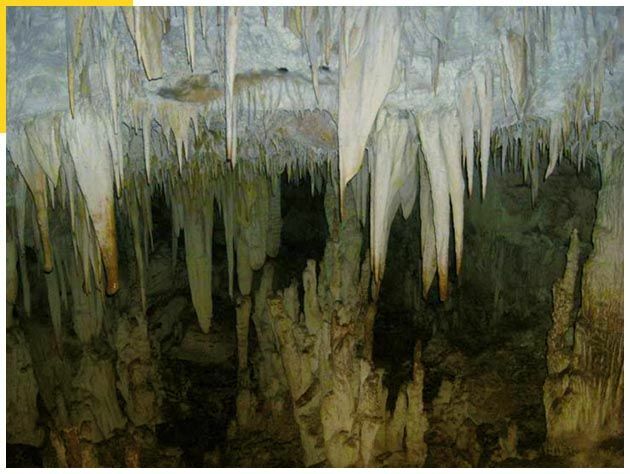 It has a network of calcareous cavers, which have been explored 50% by scientists and speleologists. At present, only the Velvet cavern is open to the public because it safe for non-experienced visitors and is ideal for adventure tourism.